It’s hard to say when exactly gluten became Public Enemy No. 1 in Los Angeles. Luckily there are a few establishments that run against the grain (or with it, depending on your point of view). Not necessarily bakeries, or even restaurants that make good bread, but places to eat where a South Beach dieter shouldn't even bother. 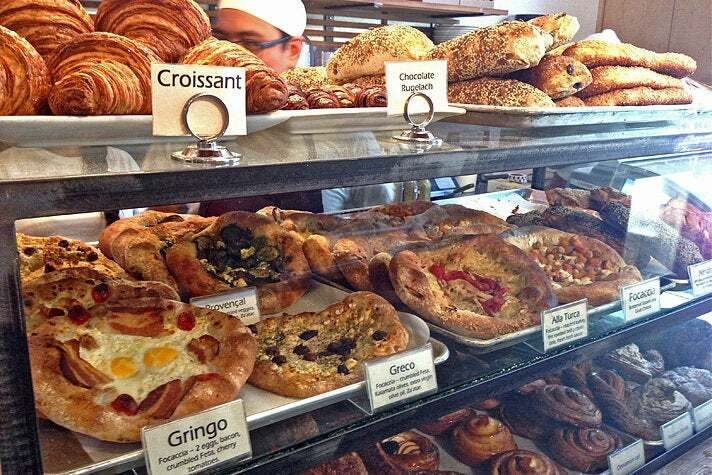 Here are 10 places in L.A. worth a visit just for the bread. 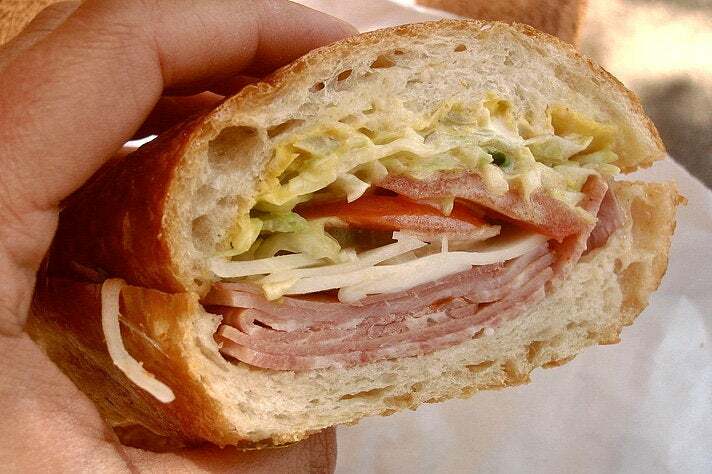 You won't find list of the best sandwiches in L.A. that doesn't include Bay Cities, which is amazing considering the meats and cheeses that go into their famous Godmother are mostly the same stuff you'll find at every generic deli and grocery store counter in the country. So what is it about the sandwich that makes people swoon? The bread, that's what. 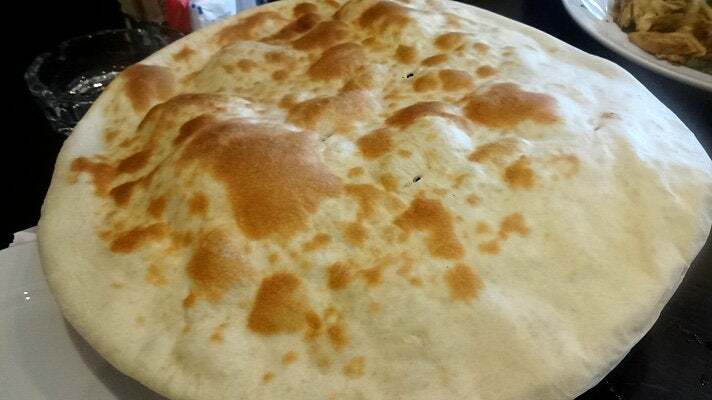 Their in-house, freshly-baked filone, with a crackly crust that's easy to bite through, is everything that is right and good about Italian bread, and you don't even need to order a Godmother to try it. 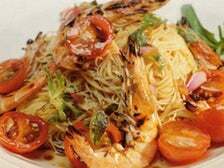 It's also perfect with chicken parm, meatballs, meatloaf, or just fresh and warm out of the bread basket outside of the wine area. 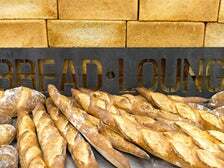 If you've bought a baguette from Wally's Cheese Shop in Westwood, or have had a brioche crumble topped dish at a Wolvesmouth dinner, then you've tasted the bread from Bread Lounge. But the best place to try Ran Zimon's creations is directly from the source, his industrial-style bakery in the shadow of Downtown L.A.'s 7th Street bridge. The airy but substantial spinach and feta stuffed borek, or the pizza-esque focaccia topped with egg and bacon, both make an intensely satisfying meal. You'll want to tack on a piece of their incomparable olive bread as an appetizer, and take a loaf of something to go. 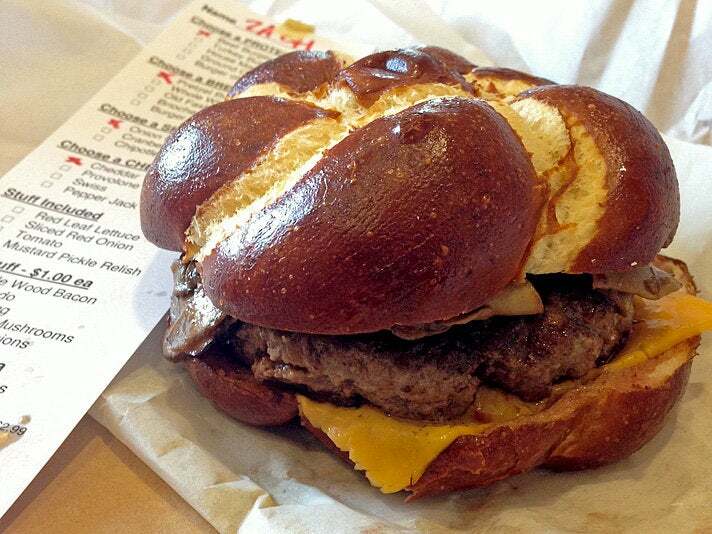 There aren't many hamburgers where the bun is the main event, but in the case of the pretzel bun at Hole in the Wall Burger Joint, believe the hype. Forget every stale, underwhelming pretzel or pretzel bun you've ever had. This one, which comes from the Drago-owned Dolce Forno bakery in Culver City, is everything you'd expect from a hot pretzel that wants to be a bun. If you love the idea of pretzel buns, this one is the best. If you roll your eyes at even the idea of a pretzel bun, this one will change your mind. 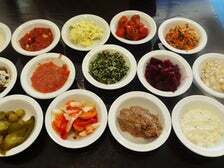 Most people will claim that it's the bottomless array of salads and dips, served Korean style in little ramekins, that draws them to Hummus Bar in Tarzana. But what are you supposed to eat those spreads and pickled veggies with, a fork? No. 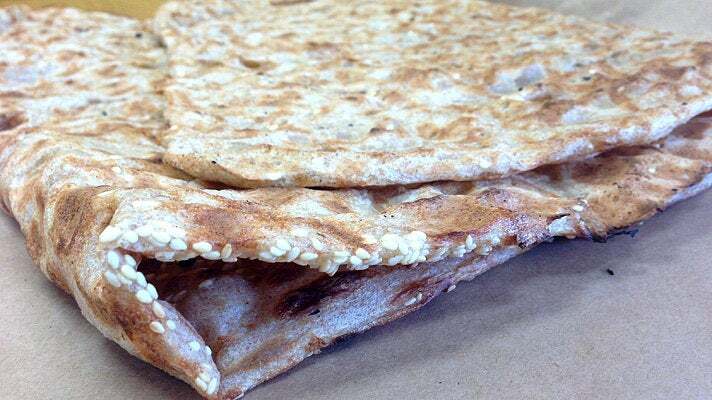 You're going to use their fresh baked laffa or pita bread, even though it costs extra and will keep you from ordering that third refill of hummus and roasted eggplant. The all-you-can-eat salad deal isn't available at the new Hummus Bar Express location on the Third St. Promenade, but the freshly-baked laffa is, and that's good enough. 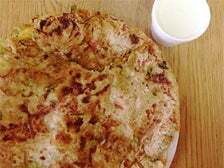 There are plenty of places in Westwood or along the Pico corridor for Persian kebabs, cranberry rice or gormeh sabzi. 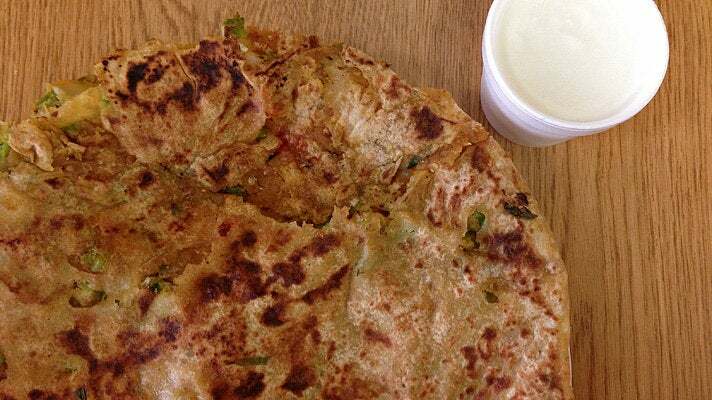 But only Kabab Mahaleh makes their own sangak, the surfboard-sized sourdough flatbread that comes out of the massive revolving oven behind the counter. 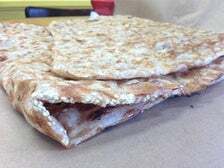 They serve sliced, reheated bread with everything on the menu, but it's worth shelling out the extra $3 for one of the fresh baked "loaves" rolled up in brown paper. 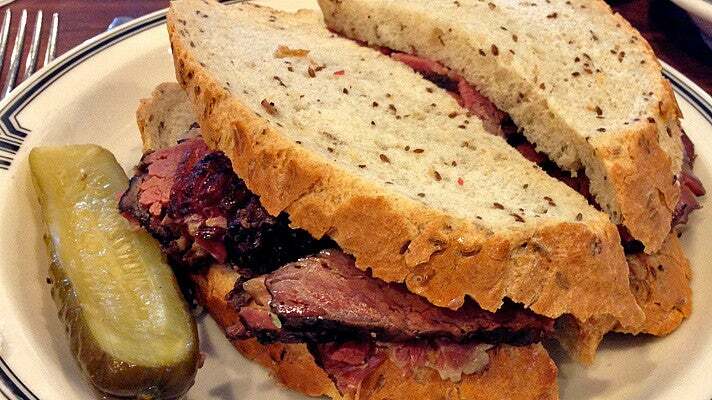 In the eternal battle of pastrami versus pastrami between Katz's Deli in New York and L.A.’s own Langer's, each side has its fans. But when it comes to the bread, the winner is clear cut, and it's Langer's. Thanks to their special method of preparation that involves slicing the bread at the last possible moment, it ends up crunchy on the outside and perfectly soft on the inside - but still strong enough to stand up to the cole slaw and Russian dressing in the famous #19. 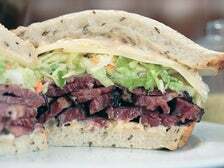 If you're eating the pastrami - or anything at Langer's - "protein-style," you're doing it all wrong. First things first, tortilla is not actually "bread." 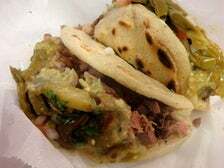 But the ones from Los Cinco Puntos are thick enough to qualify. This Boyle Heights carneceria specializes in whole hog carnitas (ask for sortido if you want a little bit from every part) and the pork is tasty, for sure. 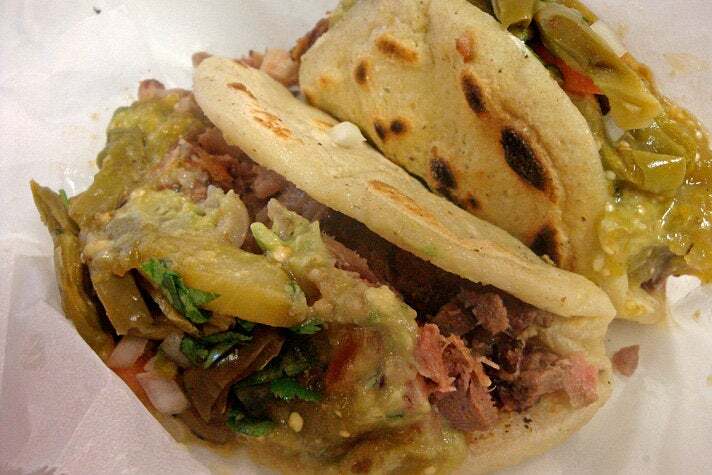 But what makes this place stand out are the tortillas being hand made and griddled up behind the counter to order. Order a taco topped with cactus salsa and guacamole, or just cut to the chase and get a bag of those piping hot tortillas to go. 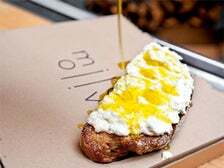 Like its older sister Huckleberry, it's hard to get through a meal at Milo and Olive without sampling at least one of their pastries. But unlike Huckleberry, going to Milo and Olive without getting something hot and doughy out of that wood-fired oven is pretty much missing the point. Of course, you'll want to get one of their pizzas, topped with mixed wild mushrooms or sausage and escarole. 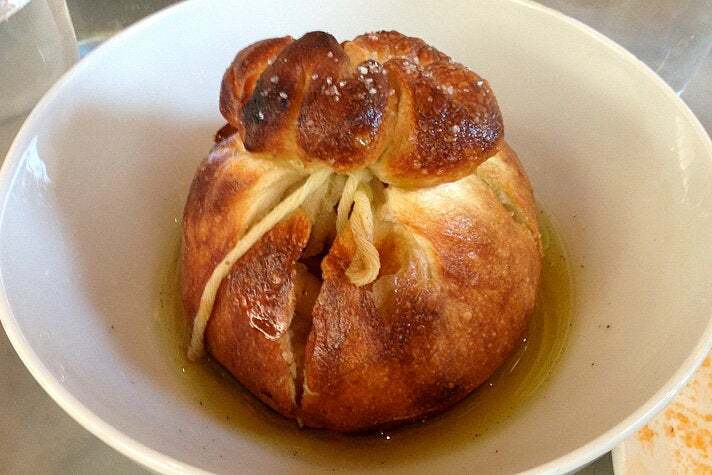 But the true gluten gluttons will go for the garlic knot. Not knots, but knot - a single, intensely-rich pouch of baked goodness, stuffed with what must be an entire bulb of roasted garlic. This new brick-and-mortar offshoot of the Santa Monica Farmer's Market mainstay is kind of like the westside version of Sqirl, if everything at Sqirl worth ordering came with bread. There’s quiche and a small selection of baked goods, but you're much better off ordering the sourdough toast with house made jam, or one of the breakfast specials that comes with their award-winning rye. 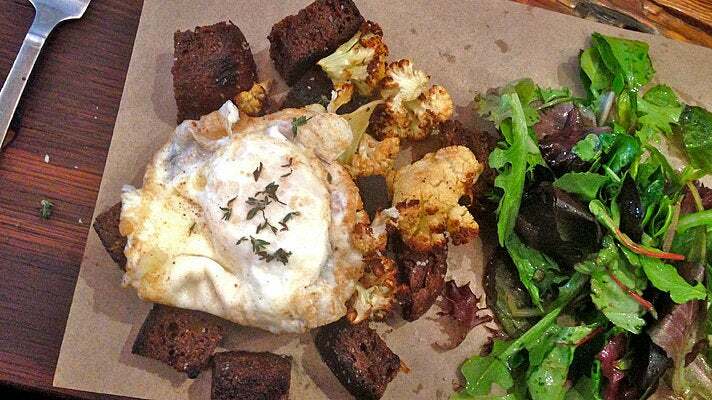 If you're lucky, one of the specials will be the black bread hash, featuring salty crouton cubes of their increasingly-famous dark pumpernickel bread. Break that sunny side up egg over the top, and you're in bread heaven.